We offer the most cost effective and online access payroll solution. We offer free direct deposit. 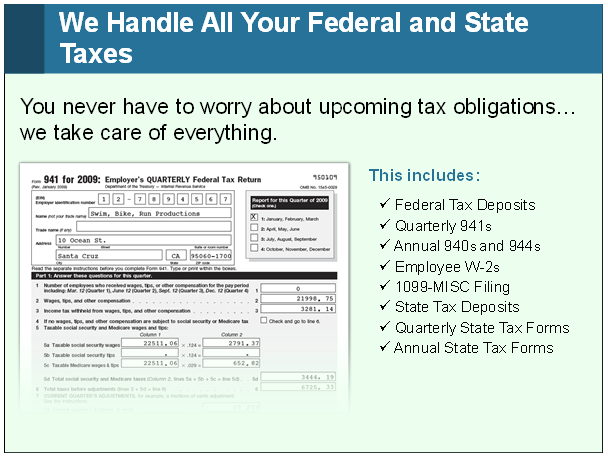 All employees have access to the software to view their pay stub(s) and/or W2 at anytime. With Brett Professional Service our professional expertise and existing knowledge of your business, we are able to design a custom payroll solution that best fits your needs. 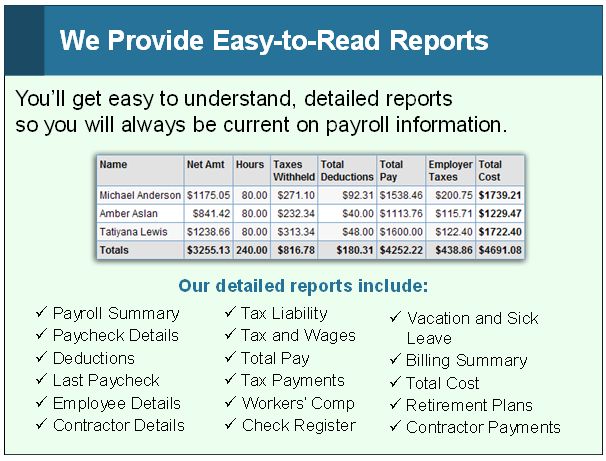 We can provide you with a full-service payroll experience at cost-effective rates. 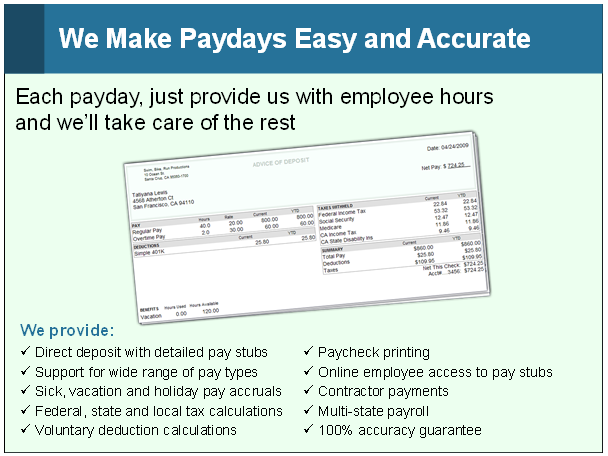 We guarantee your payroll will be accurate, timely, and hassle-free. You will always receive top quality service. 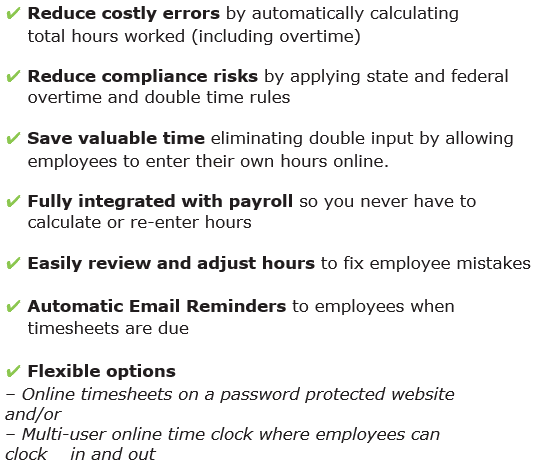 Save time and reduce costly errors by allowing your employees to track their own hours online and eliminate double input. It can be a real pain to track employee hours and re-enter the data, especially when you have to follow complicated overtime rules.